Last night Tom and I had a picnic under the stars, and it was wonderful. 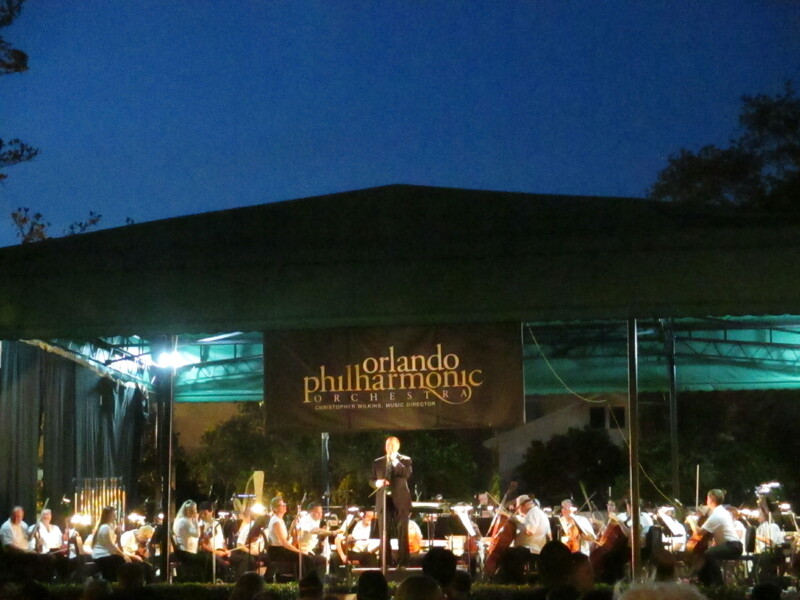 We found out that our favorite small town, Winter Park, was hosting the Orlando Philharmonic Orchestra in the park located in the center of downtown. We made plans to make it the best it could be. Second, we packed the car with our fold-up wagon to make carrying all of our picnic supplies easy. Fourth, we loaded our chairs and our roll-up picnic table, purchased at Crate and Barrel and worth every penny! Finally, we got in the car and enjoyed a great picnic and concert under the stars. I can’t tell you how many people commented on our table setting. And it wasn’t hard to do. On the beach – take your portable grill and cook steaks or burgers beachside. If available you might even reserve a fire ring, like those available on Daytona and New Smyrna Beaches. By the lake – if there is a park nearby on a lake, set up in the late afternoon and plan to stay until sunset. The weather is usually much cooler, and most people will be going home when you arrive. At a state or national park – since most parks close at dusk, you may have to make this a breakfast date, or a late afternoon date. In your backyard – you can make this as simple or elaborate as you want. One time I set up our dining canopy and decorated it with market lights. We had our fire pit going nearby adding to the ambiance. Rooftop – If your roof has easy access and is comfortable, there is no more secluded place after dark than the top of your house. 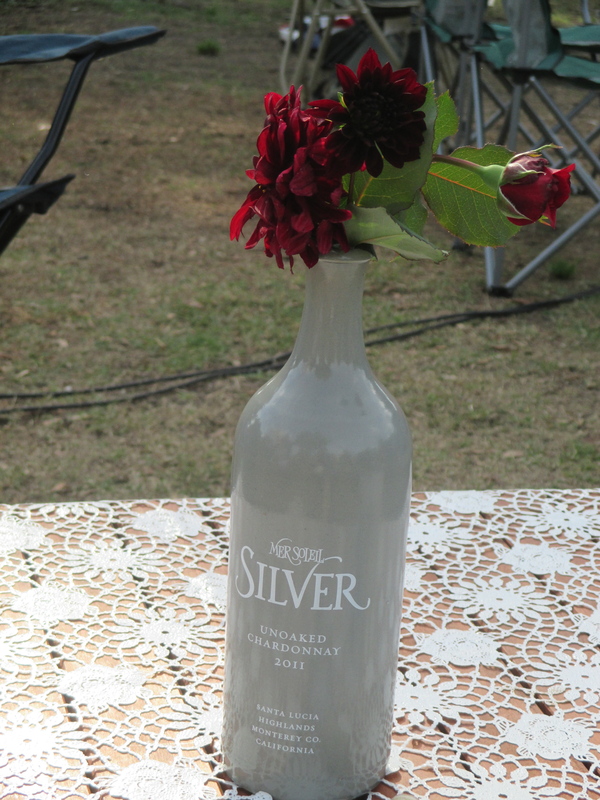 Everyone has enjoyed a picnic together, but not many think outside of the box on how to give it a fresh twist. We hope you’ll give an picnic under the stars a try. This entry was posted in Artsy Dates, Christian Marriage, Date Night Ideas, Dinner Dates, Music, Outdoor Dates and tagged Night Time Picnic, Oh What A Beautiful Morning, Orlando Philharmonic Orchestra, Picnic Ideas, Romantic Picnic. Bookmark the permalink.